On March 25th, Phelps Helps will be hosting the second edition of our Summer Jobs workshop from 4:30-6:00 PM. This evening is a chance for local youth to see summer jobs available in the Stanstead area, make their CV and apply for summer employment with the help of our team and volunteers. Our coordinator will be contacting many local businesses in the coming weeks to identify their summer job needs, many of which will not be posted before this workshop providing an exclusive opportunity to those who choose to attend. Check out our Facebook page (facebook.com/PhelpsHelpsStanstead) for more information or contact 819-704-0799. 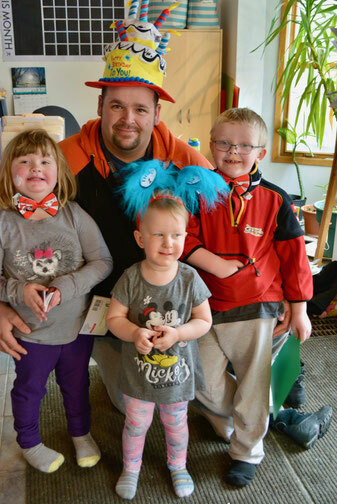 On Saturday March 2nd, Phelps Helps hosted a celebration for Dr. Suess’ 115th birthday. This family-friendly event was open to everyone and bought in more than 15 families. Check out our Facebook page to see more adorable photos of our visitors.